Music is life. Let's amplify it! It doesn’t matter how old we are, where we are from or who we are. Music is part of our lives. From the simple everyday moments to life changing moments, we believe life should be experienced to the fullest without compromise. A life full of undescribable emotions and sensations that are elevated to the highest level regardless of where you are. 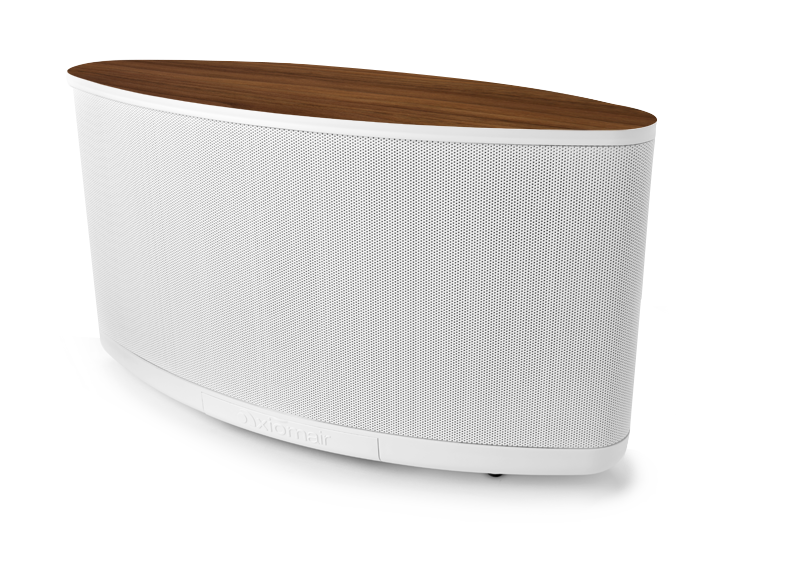 Introducing AxiomAir, a wireless speaker system designed to amplify life’s moments. Play the highest resolution 24/192 music files without compression. At Axiom Audio, we have a passion, a vision, a goal. We strive to continually heighten a person’s emotion through the audio experience. We’ve utilized our 35 years of experience developing the best state-of-the-art wireless speaker system that produces superior quality sound. It’s time to unleash the power of AxiomAir by accessing your music library, plugging in a USB drive of music, or streaming web radio stations. You’re free to choose. For over 35 years Axiom has designed and manufactured the best sounding speakers using one of the most advanced acoustical laboratories in the world. So when our customers challenged us to give them the Axiom sound they love combined in a wireless, portable and multi-room capable speaker; we knew we could create something truly amazing. The new AxiomAir provides unbelievably powerful, dynamic, high quality audio with the freedom to go anywhere. AxiomAir can be added to your local network or take it with you to go. AxiomAir broadcasts its own network for users to connect to, giving them the freedom of Bluetooth without any of the compromises. Bluetooth is only made to transmit sound from your headset to your phone – not to carry full-spectrum high-resolution audio. Using a WiFi network means you’ve got three times the usable range of Bluetooth. Just join the AxiomAir hotspot and your phone or tablet can access the user interface. Now, the beach has never sounded so good. AxiomAir also broadcasts its own control interface providing the choice to play music from your smart phone, tablet, computer or another network device. The user interface was designed to be a convenient way to play any song in your user library, across one or multiple AxiomAirs. Play in just one room or across all AxiomAir-enabled rooms. The AxiomAir Control Interface allows you to sync to existing music files on your devices. 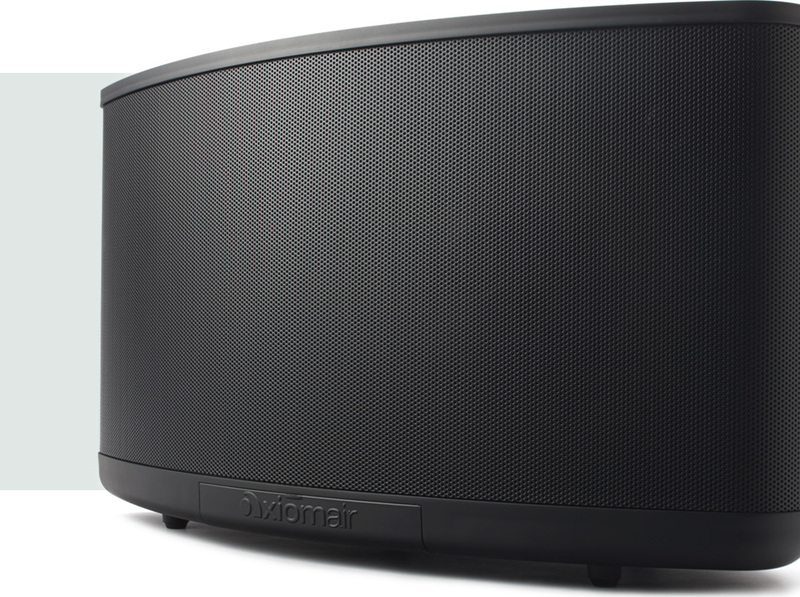 AxiomAir’s built in 150 watt amplifier will definitely keep your party rocking… that is until your neighbours complain. What does 150 watts of continuous output mean? Many companies list their peak power output – the levels they can hit for a short burst of power like an explosion, but unfortunately they can’t hold that level for a long period like an epic guitar solo. Axiom only lists the continuous power ratings. 150 watts (2 x 75 watts per channel) is enough sound output to make a presentation clearly audible in a room of 50 people. So in other words the power of AxiomAir allows you to reach the highest level of satisfaction and keep you there. Oh ya. We do! We’re baking audio into the Pi. AxiomAir utilizes the Raspberry Pi – a micro-computer about the size of a credit card – as the ‘brains’ behind the speaker, and we chose to make the programming open source. What that means is outside developers can write apps for the Raspberry Pi. As new features and applications are developed you can easily update your AxiomAir by simply clicking the ‘Update’ button on the user interface. The Pi makes the AxiomAir so much more yummy! Whether you want a speaker tricked out to look like your favourite board, or something monochromatic that disappears into your décor, AxiomAir has what you want. Two base colors. Two standard lids. 143 custom wood finishes. Or pick any color in the rainbow and let us customize yours.